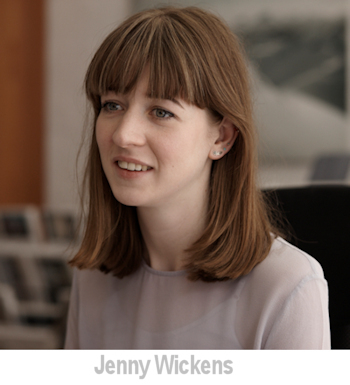 Career Insight - Jenny Wickens - Production Assistant - Burnham Niker. This is the first of our articles profiling photographers' agent Burnham Niker where we get an insiders' view of the people who run the business and work they do with clients. We start with Jenny, the newest and youngest member of the team, who has a photography degree but preferred to work with photographers rather than make it a career. 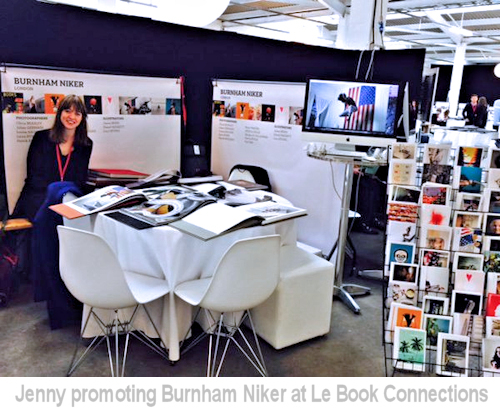 Jenny's business knowledge and photography background landed her the role of production assistant at Burnham Niker. Jenny tells us how it all came about and what it's like to work as part of the successful Burnham Niker team. I was always creative at school, but I hadn’t yet figured out how best to express this. We were very fortunate to have a darkroom in our secondary school. So after being introduced to the darkroom, I spent most of my art classes under the red light playing with chemicals. I loved exploring cameraless photography, which at the age of 16 sounded impossible and was something I’d never heard of. Gregory Crewdson, the creative team behind the Benetton’s ‘Unhate’ campaign and all of the exhibiting artists in the V&A’s Shadow Catchers exhibition (2010). You studied a photography degree in Nottingham, what discipline was this? I studied a Photography BA Hons degree at Nottingham Trent University, but chose not to specialise in Fine Art, Fashion or Documentary. I knew I didn’t want to be a photographer but wanted to work around them in some form. Therefore I didn’t want to pigeonhole myself with the kind of artists I worked with. So no aspirations to make it as a photographer yourself then. No, and I haven't since I was about 19. I have a couple of pieces of my university work in my flat and recently saw an open call for a photogram exhibition, so I entered one of the pieces. My work was accepted but I didn't really tell anyone until the exhibition was nearly over. Although enjoyable, it confirmed what I had thought for years – I do not feel comfortable putting my artistic skills out there for judgment. I have a lot of friends who are 'the artist' and don't understand me when I say this, but I'd much rather be working for 'the artist' than be one myself. What aspects of your study worked well towards your career goals? Getting to work on creative briefs and essays on a wide range of subjects definitely helped towards my career goals – which was and still is to work with great photographers across a variety of styles and genres. A lot of students came on to the course knowing how they wanted to specialise, and didn’t like this element of trying a bit of everything. They wanted three years of study in one area. There were definitely creative briefs that I struggled with and essays on subjects outside of my comfort zone, but I feel that covering that range was beneficial and definitely prepared me for working with a range of photographers in my current and past roles. Is there anything you felt was lacking from your studies in preparing you for the working world? I think everyone (including graduates from other arts-related courses and universities) would say ‘real world’ training. We had a Professional Practice element to our course, but unfortunately I felt like this was put in place to tick a box rather be helpful. The entire module was aimed towards being a photographer. In our first lecture to 180 students, our tutor said: “Only 10% of you will go on to be photographers”, yet we were being asked to perform these tasks 2.5 years into our degree. So, as one of the many students who weren’t going to end up in that role, the module didn’t work for me. Bumping into my university staff at exhibitions since graduating, they have since asked me to help improve this part of our degree. I haven’t yet come up with an answer. I loved lectures by photographers, artists and creative institutions, and I can only think perhaps asking some of these lecturers to explain how they got to where they are. Not just by project or by commission, but more how they got their work known in the industry and by who. What was your first working experience after graduating? I worked in the office of photographer Sam Robinson for 10 days. At that time Sam worked in The Shop studio, along with designers and producers – it was a real creative hub. Although I only helped with basic studio tasks, it was the first time I saw what a photographer’s office and a creative studio looked like and how things worked from the inside. Was there anything that you did that contributed to that first position that made you stand out? Ie. Personal project work, internship, etc. A friend who also studied at Trent was Sam Robinson’s studio assistant and they needed an extra pair of hands. Despite 3 artistic jobs every summer and 5 roles in creative institutions in my final year of study, none of them contributed to my first graduate role! However, I am certain that without this extra-curricular work, that I wouldn’t have secured my jobs following this work with Sam Robinson. You took some time out to travel around Australia, did this give you any inspiration for returning and developing our career? Looking back now, before Australia I hadn’t really had a break. As I just said, I worked hard to leave university with an idea of what I wanted to do and experience in that area. After graduation I did the London Triathlon and then worked five part-time roles for 6 months – some creative and some paid. I left thinking, ‘Is taking five weeks of out my career a mistake? What if I get offered my dream job and can’t accept it because I’m on the other side of the world?’ When I was out there I really enjoyed it, but while others saw this as a lifestyle I just saw it as a well-earned holiday. Australia showed me what money could buy me, so I came home determined not to work for free anymore and desperate to move out of my parents’ home to set up a life in London. Your earlier positions were all within a creative environment but with very different focus, i.e. working at arts festivals, galleries and a design agency. What did that variety bring to your outlook on a working life? I think working a variety of roles has showed me just how many people are involved in projects such as festivals, exhibitions, commissions, etc. and how people cross over industries. I left university thinking your career path gets more narrow as you specialise in areas, but after working in such a variety of places I don’t think is true. What led to your switch to your current position of production assistant at Burnham Niker? After Australia, I took a job as the SEO and SMM analyst at a marketing agency. Although the role wasn't exactly what I was after, it was within a company working on architectural advertising and branding design. The position gave me my first taste of what would later become my career in advertising. For my next job I wanted to bring my interest in photography together with the marketing knowledge from the design agency, which lead to my current role as Production Assistant at Burnham Niker. As someone who likes working on different projects at one time, as you can probably see from previous employment, the beauty of my job is that no one day is the same as the next. There are too many variables for any day to be a repeat: different clients with different briefs, produced with different teams. We are not even just dealing with photographs anymore, as projects often involve gifs, animations or moving image. The only thing that’s the same everyday is my lunch and that’s it! Being part of a small team means you’ll see most aspects of the business’s activities with clients, suppliers and photographers. Is this useful for your career development? I am mostly involved with suppliers and photographers, but I also liaise with clients. Campaign decisions are usually made at meetings in advertising agencies with only one agent from Burnham Niker present. As a company, we keep each other informed so that we are all up to date on each project. However, I regularly interact face-to-face with clients at portfolio presentations, on shoots and at industry events. I believe this kind of networking and relationship building while at a company with the gravitas of Burnham Niker is useful for career development. Are there any Burnham Niker projects you are particularly proud of? 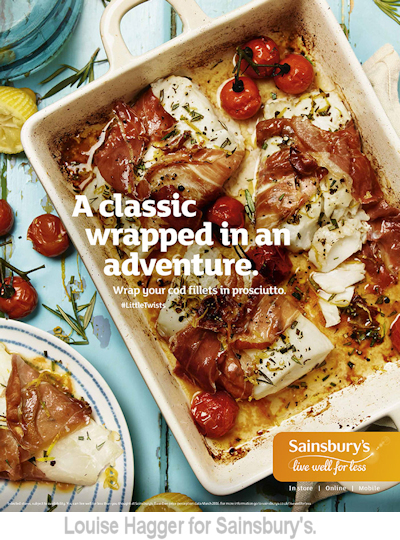 Burnham Niker recently took on food photographer Louise Hagger and she has just photographed a new campaign for Sainsbury’s LittleTwists. I was particularly proud of that project because I was working at Burnham Niker when we first starting representing Louise and I worked on that production more than any other campaign. Other than that, seeing any ads that we work on out in the public sphere makes me really proud to be involved. Do you study the commercial world of photography or is your exposure to this world on a daily basis enough to keep your knowledge up to date? Yes, I read industry magazines, find online articles and research who is shooting which campaigns. Outside of work advertising is all around you, so I can’t help looking at, consuming and analysing what I see. What are your hopes for your career from here? Any plans for more formal study? I hope to produce my own shoots while at Burnham Niker and long-term I aim to continue working around excellent photographers on interesting projects. I don’t have any more plans for formal study as I am now learning every day in the work place. I don’t know about business advice but the best career advice I have ever been given is to only stay in a role if you’re still learning. A friend was recently told this upon getting a job: her new employer told her that once she had learnt the job then move on. I think this is so true! What advice would you give to anyone wanting to break in to a creative career? When you’re graduating you can try everything and anything, so if you have the energy then go for it. I think it’s important not to be used by the industry however. There are definitely months in previous roles where I achieved nothing apart from adding another month to my CV. I think of that now as a waste of time and life and I think it is vital to always keep learning. From our series of articles about photographers' agent Burnham Niker, we talk to the Alex Wilshire, we talk to newly promoted joint Director Alex Wilshire. Alex tells us about her career to date.